The Democratic Party Machine has held sway over the Windy City for the past 100 years, from Cermak to Daly to Emanuel, parsing favors to their ward henchmen as they delivered the votes; public workers including police and fireman repeated the bounty. Parts of the South Side” tread with caution” has been owned by gang-bangers who rule the roost. On the way to a Chavez style socialist paradise the debt explosion has smacked the “meat packing city” in the face. Ready to hit the junk bond heap they have nowhere to turn; perhaps the Mafia can bail them out. After all what do you do when the unfunded pension liability alone is 32 billion ($32,000,000,000); that is real money. Not to mention this years operating budget shortfall in the neighborhood of $300 million. Their illustrious mayor is now in a runoff with another big mouth Democrat with the same blood running in his veins as Hugo Chavez. As we stated on numerous occasions, socialism is the worst disease known to man, a poison without a remedy. Ask Detroit, Washington, Argentina, Brazil, Venezuela, Russia and you come up with the same answer, “we are broke” with no intent on paying our debts -ever. Many of the things the early Democrats and union organizers fought for long ago were necessary to protect workers rights, health and welfare, but things go to far. Now the judiciary is in the act making laws instead of ruling on them. Regulators gone wild believe it is they whom can promulgate regulations if the Congress fails to do so. The country is out of control now ruled by a President who rules by decree. Sounds like Hugo, may he rest in peace, Chavez. Eventually a time will come when the “only solution will be a revolution.” That time is closer than many people think. Click here for it takes an Englishman to tell the Republicans how to win an election. (click) New York City is experiencing the coldest winter in 80 years at 11 degrees below normal. To those elite government proponents of (click)global warming we have a message for you, “CHILL OUT.” Man-up admit that your scientific evidence is a fraud; do what any honorable person would do, fess up. Of course this is wishful thinking on our part. The only thing we can offer them then is a cup of Ice Cold Tea laced with sodium pentothal. Yes, the global warmers – climate change aficionados have gone into hibernation. With provocative statements by none other than Mayor DiBlasio ( a think tank know it all legend in his own mind) the Kool Aid imbibers are pumping co2’s into the atmosphere faster than Mount St. Helens. What has caused them to do this – we thought all along they would be going green, but Mother Nature through an icicle into their plans; they too love to be warm at heart. With temperatures plummeting to all time lows, even Washington D.C, the heart of the Mean Green Machine, saw a minus 4 below, thirty degrees lower than the coldest it has ever been on February 23. 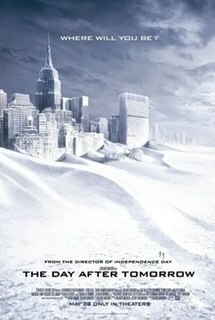 Is a new ice age upon us, that is the question asked by millions who are literally “dying” to understand their fate. A report by the New York City Panel on Climate Change predicts that average temperatures could jump nearly 9 degrees, rainfall could increase 13% and sea levels would increase by over two feet, meaning the daily high tides in places like Queens would cause daily flooding. We bet that the books in Vegas and London would love to take the punter’s money on this one. Stayed tuned, 36 years to go for doomsday. The Day After Tomorrow is perhaps a scenario that may be taken more seriously if the cold wave persists. Run by a government out of control with employees doing Obama’s dirty work by lying to Congress; this has energized an American populace against this Terrorist Organization. Targeting Tea Party groups leading up to the 2012 election by preventing them from soliciting funds for political purposes; this stymied advertising which could have prevented Obama’s 2nd term. Lois Lerner, kept her mouth shut by invoking the 5th Amendment in testimony before Congress. IRS honcho Koskinen then told Congress that they would investigate, but did no such thing. Suddenly we are informed that 32,000 of Lerner’s emails have been located on back-up tapes. “We were lied to.” We now wait to find out what incriminating evidence is in those tapes, but will not be surprised if Obama directed the cover-up and the targeting of Tea Party groups. President Mohammad Hussein Obama is preparing for Martial Law. Don’t kid yourself and think it is not possible. POTUS has directed BATFE to prepare for the confiscation of ammunition that powers the AR-15, the 5.56 mm round. 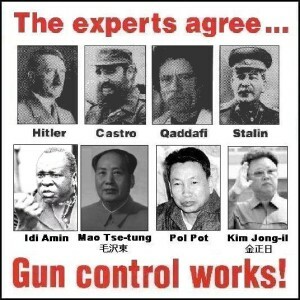 Make no mistake about it, Obama is the 2nd coming of Stalin, Chavez, Castro, Mao and Pol Pot. The path to dictatorship goes through the confiscation of weapons, the next step is the press takeover and the third which is the most important is the government internal gendarme force, Obama’s own security force; think DHS. Americans should be on high alert because Obama is on track to set up his (click) own Security Force as he indicated back in 2008. Any of the above super sleuths, the Johnny gum shoes of crime solving, can bring to fore the intent of the Iranian nuclear ambitions. Negotiations with the pacifist administration of Obama have been going on for what seems like eternity with no end in sight. Picking up on the North Korean paradim Supreme leader Khomeni is stalling for time as his scientists spin the centrifuges which generate the the nuclear cocktails necessary for the construction of a nuclear device. Close to entering the nuclear club Iran has resorted to black mail; no sanctions or we will continue to move forward by arming ISIS. What is apparent to our cadre of crime solvers is that the Mullahs have pulled the wool over the eyes of our negotiators. Iran will no longer allow inspections at their facilities. The primal word to acknowledge is “INSPECTOR”; they inspect. But if they can’t get into facilities there is little to inspect. Israel and the United States, say the Iranians, were responsible for the Sustinet virus making its way into the centrifuge facility. It played havoc with their computers, spinning them out of control. Only then did we know what was going on behind closed doors. Put March 3rd on your calendar, the day Netenyahu addresses Congress. For eight long years, well it feels like eight, the Democrats have thrown in with a “threat to America.” In 2016 Americans can make a change for the better, but in between there will be two years of war. Obama is taking his last breath and in doing so will do everything in his power to destroy what he hasn’t so far. The question then will be, are there any Democrats willing to break rank? If none, then law abiding patriotic Americans of all stripes will take matters into there own hands. Ruthless as Obama has been so far expect more alarming executive orgers in the coming days. Iran for instance will be on everyone’s radar screen. Thus far, Obama and Kerry have been towing the Iranian line. Why? We can only guess but the writing is on the wall – Obama has Muslim Blood running through his veins. All eyes will be on the speech Prime Minister of Israel will give when addressing both houses of Congress. Not that they don’t know what is going on – the speech is not for them, but for the American people to hear. They will understand that stopping Iran now will prevent a nuclear war tomorrow. Obama so far has done all he can to get Iran’s nuclear program into high gear because he knows if any sanctions were instituted the main ingredients will have been procured before hand. The Sunni street, Saudi Arabia, Egypt, the Emirates are not shouting “Allahu Akbar” at the top of their lungs cheering Iran on, for they know Iran will soon target them. A Shiite-Sunni armageddon is possible. So the bottom line is this, the Democrats that don’t show up on March 3rd are in the pockets of Obama and the Mullahs. We will know then who are enemy is. Brought to you by the New York Post. “From the time he was 9 years old, he was influenced by Frank Marshall Davis, who was a communist,” Giuliani said. The ex-mayor added that Obama’s grandfather introduced him to Davis, a writer and labor activist. Obama was behind the over throw of Mubarak of Egypt paving the way for his Muslim Brother Morsi to ascend to the Presidency. But a majority of Egyptians were not pleased with Morsi’s iron handed rule. The people rose up fearing for their freedoms; there was an under current brewing leaving no choice for the military to step in. And so General Abdul al-Sisi took needed an immediate action, jailing the Muslim Brotherhood criminals. This coup infuriated Obama; immediately aid was curtailed and defensive weapon shipments halted. Al-Sisi was guilty of a military overthrow said the anointed one – Morsi was democratically elected. General Al-Sisi has risen to the occasion, countering the Islamist threat in Libya and the Sinai. Obama does not praise him, but dismisses the General as a dictator; what then does that make Obama – seems to us he is Dictator in chief. As life goes on and the more it does the more we hear of the new urgency to give jobs to the Muslims – with jobs Obama and Kerry theorize the Muslim terrorists will be too busy making money that suicide bombing people will be the last thing on their mind. “The check is in the mail on this one.” But when it is all said and done, history will not be kind to Obama, cut and run is his philosophy; and so he does from one fight after another. For many, the year 2008 started off with a pending disaster, the banking crisis, the real estate implosion and the stock market crash; they set in motion six years of turbulent times. However, one of the less talked about moments was the genesis of home grown terrorists. Not only the Jihadist miscreants who frequent the Masjids, they have been on our radar screen since the 1993 bombing of the trade center, but what was to come was far worse and many light years away from anyone’s prediction. America elected a Muslim sympathizer, a closet terrorist, to the Presidency of the United States. A careful analysis of Obama’s step by step destructive edicts, regulations and executive actions revealed the destructive course he set upon. After being elevated to the thrown his game plan kicked in. Millions of Muslims were allowed into this country under the guise of political retribution in their home countries just because they belonged to a different tribe. Of course this was pure poppycock. As of late POTUS gave a helping hand, a free pass, to the 5 million illegal aliens who invaded our southern border – many of them are fellow Jihadists. Its a good thing the Texas Judge put a halt to their free lunch for now. Next up he through Poland under the bus by not honoring our commitment to build a missile defense system that was to protect Europe from the Russian bear. He didn’t stop there more passivity was to come; such as Ukraine. Kiss them goodbye. His stump speech in Egypt was not a pandering to the Muslims it was an American apology for what he called past deeds – another example of his terrorist posture. A sell out to appeasement. Then who cannot forget his love affair with the Muslim Brotherhoods terrorist Morsi. Soon after the overthrow of Morsi by General al-Sisi, Obama cut off aid to our friends in Egypt. This was tantamount to treason. We all remember the failure of Carter to honor the commitments to Iran, Obama went one step further, he has upped Carter’s game. And last but not least is Obama’s lobbying for the Iranian bomb; a mistake that will be very costly when Israel drops the mushroom bomb on the Ayatollah. Then what?